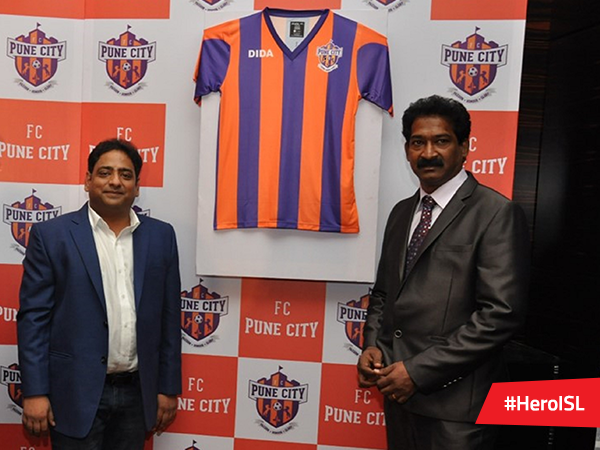 FC Pune City today revealed their official logo and jersey for the 2014 inaugural Indian Super League. 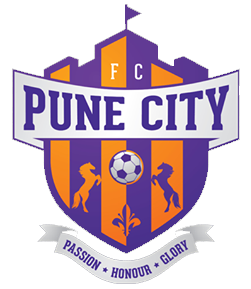 Featuring orange and purple vertical stripes on a castle-like badge, the FC Pune City logo is decorated with two horses rearing between a football and the motto “Passion – Honour – Glory”. Pune City’s jersey meanwhile also consists of purple and orange vertical stripes, with DIDA sportswear as the official kit sponsor. Pune City, based out of Pune, Maharashtra, are owned and operated by Wadhawan Group, Bollywood actor Salman Khan and Italian football club ACF Fiorentina.